I am writing my column this week from Montepulciano, where I just finished being a judge at A Tavola con il Vino. It is August and a typical time for vacation, especially for Italians who seem to vacate their homes in August. But not in Montepulciano. Here we are at the end of August, and it has been a week celebrating community, history, culture, food and, most importantly, wine. Montepulciano is an historic medieval and Renaissance hill town in southern Tuscany, in the province of Siena. The town is on top of a limestone ridge that is 1,985 feet high and overlooks surrounding vineyards of predominantly sangiovese. 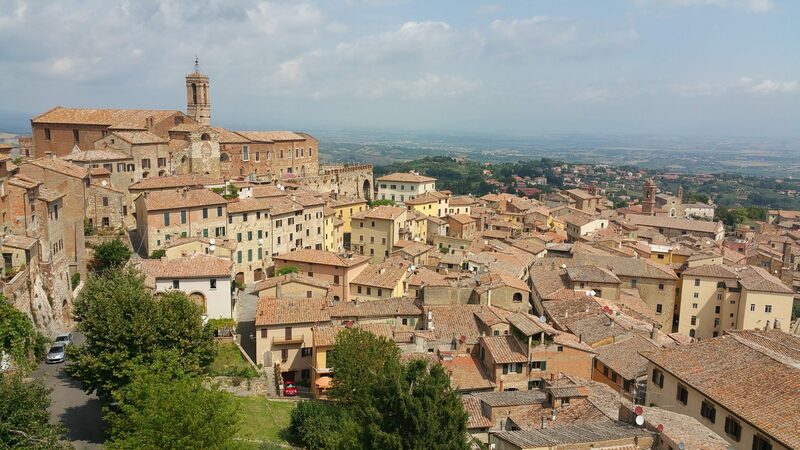 There are approximately 5,000 people who live in the old town of Montepulciano on the hill and more like 15,000 inhabitants in the entire region of Montepulciano. Within the old part of Montepulciano, the streets are made up of eight contrade, a district, or ward in an Italian city. These districts were set up in the Middle Ages for military purposes but today they are areas of civic pride for those that live in them. If you are heading to Napa, you might think of making Yountville or St. Helena your base. Not only are there wineries nearby but, at the end of the day, there are lots of restaurants to chose from that are an easy walk from a hotel. But, now you should consider making Downtown Napa you home base. What was once seen as a town to pass through, Downtown Napa has experienced a revival. There are blocks and blocks of restaurants, tasting rooms and shops, as well as a beautiful riverfront to stroll along. In Downtown Napa you can explore a world of cuisines. Here are five restaurants to eat at, and one place to drink.